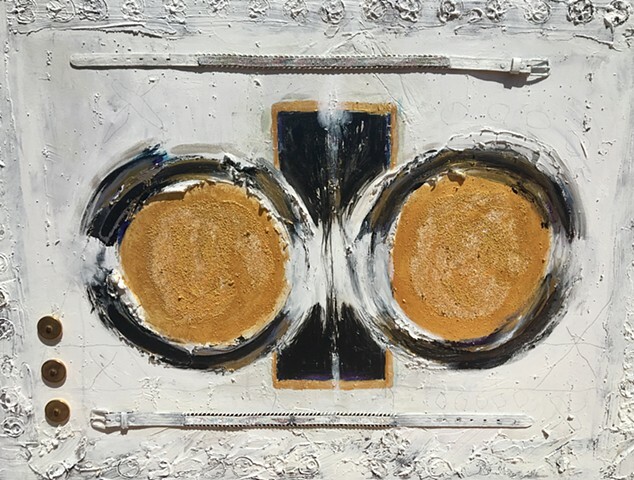 Born and raised in Seattle, Spellman is an abstract artist and entrepreneur now based in Santa Fe, New Mexico. Rooted in the pioneer tradition of the Northwest and the story-telling culture of Irish ancestors who built railroads, re-plumbed a city and led a state, Spellman paints to excavate the truth of her history. This is a personal pilgrimage, her way of grappling with issues such as mortality, infertility and transformation. “...abstract painter in the biomorphic tradition of Gorky and William Baziotes." Of "Distillation of a Dilemma" Gallery & Studio's Marie R. Pagano wrote in Nov/Dec/Jan 2014: "...Sinuously fluent brushwork...a splendid synthesis of Western and Eastern techniques..."